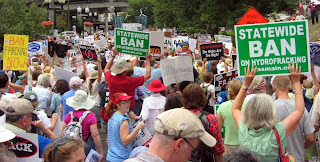 Read more: http://www.timesunion.com/local/article/Hundreds-march-in-opposition-to-fracking-3819540.php#ixzz24rJdroqgALBANY — No, the anti-fracking protesters didn't burn Gov. Andrew Cuomo in effigy. But they did something that, for a politician, may be just as symbolically painful: They painted him as a fat cat, stuffing his pockets full of phony cash from the gas drilling industry. That happened during a brief street theater demonstration in which participants tore down a symbolic gas well set up in front of the state Department of Environmental Conservation's headquarters and replaced it with a metaphorical wind turbine. While fracking protesters have been marching through the Capitol and demonstrating for more than a year, Monday's event was a bit bigger and a bit more highly organized than usual, featuring luminaries like actress Debra Winger, who lives in Sullivan County, and author Bill McKibben, who has written extensively about global climate change and other threats to the natural environment. 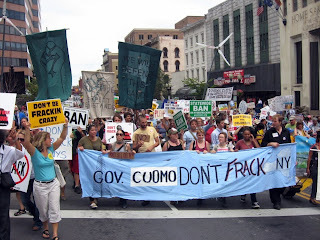 Although many in the state's political class were either running in primaries, partying at the GOP convention in Tampa or preparing for the Democratic convention in North Carolina next week, anti-frackers believed this was a good time to make one final summer push since they expect Cuomo to make a decision on fracking in September. 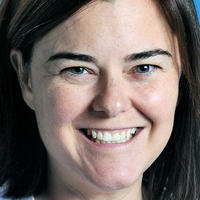 McKibben said Cuomo will have to live with the legacy of his decision. "Gov. 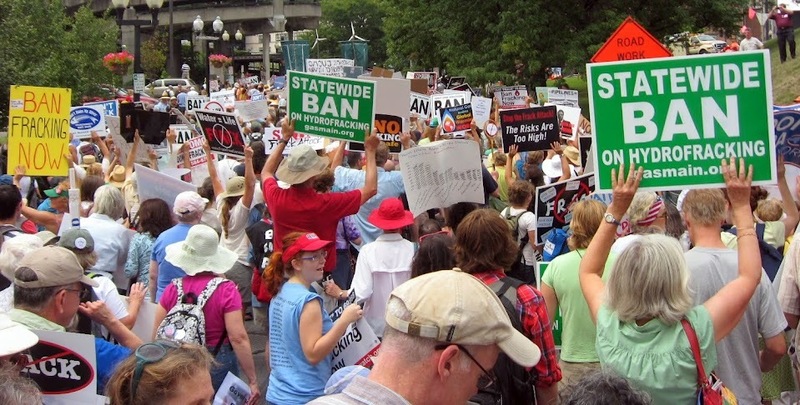 Cuomo has had one gut-check moment so far, and he stood up with flying colors," McKibben said, referring to the governor's decision to push legalization of gay marriage. "This is the second gut-check moment." "Will he stand up to the fossil-fuel industry?" McKibben asked during a brief interview before speaking to the crowd. "This will be the way in which environmentalists judge him going forward." The event was attended by about 1,200 people who initially gathered at the Corning Preserve. After going to the DEC building, they marched up State Street to Capitol Park. Much of the nearly daylong event focused on the governor and what anti-frackers said was pressure from Big Money gas supporters. "I want to believe that he can press the 'reset' button today," Winger said of the governor. 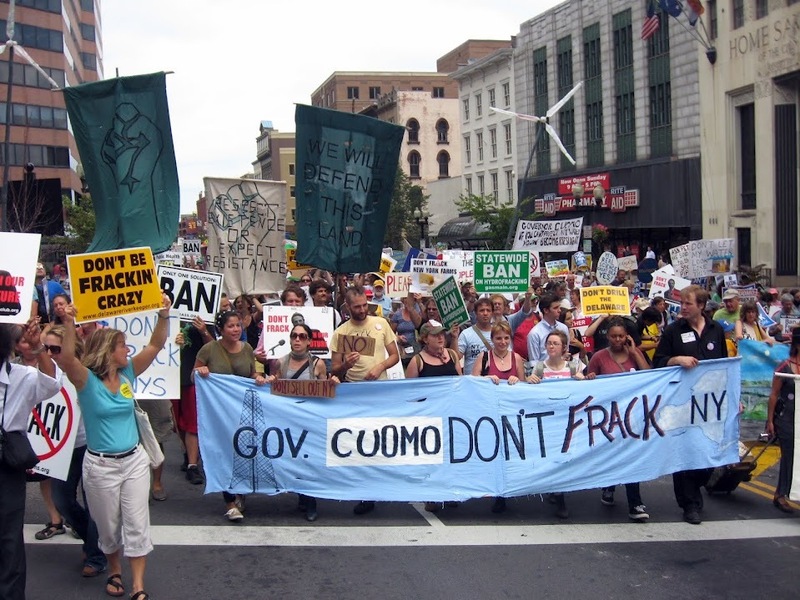 By saying "no" to fracking, she suggested that Cuomo would be standing up to the "Bank of 1 percent," referring to the 1 percenters who had been earlier vilified by the Occupy Wall Street movement. Queens Democratic Sen. Tony Avella, who also came to the protest, said Cuomo would have to answer for accidents or pollution that may result from hydrofracking. "If you allow hydrofracking in this state, you own it," Avella said. "When the first contamination occurs, you own that, too." View full sizeDick Blume / The Post StandardAnti-fracking protestors outside the NYS Fairgrounds entrance waiting for the arrival of Governor Cuomo who is touring the fair. Syracuse -- Dozens of hydrofracking protesters greeted Gov. Andrew Cuomo at the New York State Fair today in a late effort to convince him to ban the deep, horizontal drilling method within the state. Cuomo, a Democrat in his second year, has not said whether he will approve the controversial drilling method. Supporters say hydrofracking will bring jobs while extracting natural gas; opponents fear contamination of groundwater and agricultural lands. Cuomo’s Department of Environmental Conservation is expected to issue its final decision on the matter in coming days. The DEC has been sharing some of its finding with gas industry representatives, a move that some take as a sign Cuomo is leaning toward approving the drilling method. School librarian Erin Heaton, 42, of New Berlin, was among the crowd of protesters outside the Horticulture Building at the fair. Heaton, whose hometown is where the Chobani yogurt manufacturing plant is located, said she is worried that fracking could cause environmental problems that would prompt the state's growing greek yogurt industry to leave. 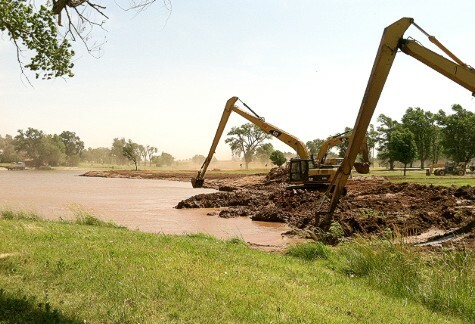 Oil companies in southern Kansas desperate for water for fracking are resorting to extreme measures like digging their own ponds and water wells. NEW YORK (CNNMoney) -- Oil companies drilling in the drought-ridden fields of southern Kansas are taking desperate measures to get the water they need to tap into the state's oil reserves. Huge amounts of water are required to extract oil, especially when companies use hydraulic fracturing, or fracking, which requires millions of gallons of water to crack the shale rock and bring oil to the surface. But now that the entire state is in emergency drought status, with only 1.19 inches of rainfall last month -- the 10th driest July on record -- unprecedented water shortages are making it difficult for drillers to get the water they need.Some companies are paying farmers for any remaining water they have left in their ponds, drilling their own water wells, digging ponds next to streams or trucking in water from as far away as Pennsylvania -- all of which is costing them a handsome sum of money and time. "This has been the most unique challenge I've run into in a while," said Ruben Alba, partner at Petro River Oil, one of the smaller oil companies that has entered the oil play in Kansas over the past year. Desperate for water: Petro River Oil had plans to frack and drill its first oil well last month, but much of the water supply the company intended to use was cut off when the state limited access to certain streams this summer due to the drought. Alba's company drilled its own water well, but it wasn't pumping enough water, so he hired a company to truck water in, delaying the job by about six weeks. By the time drilling was complete, the company had paid nearly triple the amount it originally budgeted. To avoid running into this problem again, Alba turned to local farmers and ranchers, asking them to sell his company water from their existing ponds or let him drill water wells on their land. But the whole process was taking up so much time that he hired a company called Select Energy to do the legwork for him. The Saturday explosion at Hodges Trucking, a Chesapeake Energy Corporation affiliate, involved materials used in the production process of hydraulic fracturing, an Elk City fire official said. ELK CITY — An explosion at a trucking company involved materials used in hydraulic fracturing, a fire official in Elk City said Sunday. 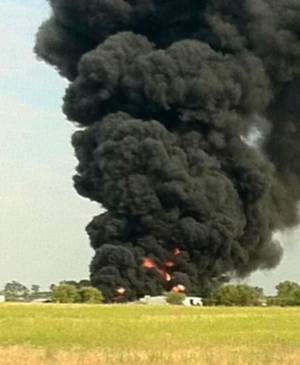 About 100 people were evacuated from their homes Saturday after the explosion that injured two people and sent flames and a plume of black smoke into the air about 9 a.m. at Hodges Trucking, 2491 S Merritt. Firefighters remained on the scene until 7 p.m., about the same time those evacuated were allowed to return home, Elk City Fire Department Capt. Jackie Addington said. According to its website, Hodges Trucking is an oil-field and heavy haul transportation company and an affiliate of Chesapeake Energy Corporation. Elk City is about 100 miles west of Oklahoma City. One injured person was taken by air to Oklahoma City for treatment, Addington said. Another victim was taken to Great Plains Medical Center in Elk City. A man was treated and released at the medical center, said Monte Deramus, a Great Plains hospital administrator. Addington did not have information on the victims’ names or conditions. No firefighters were injured in the blaze, which remains under investigation, Addington said. Bob Jarvis, manager of corporate communications for Chesapeake Oilfield Services, a subsidiary of Chesapeake Energy Corporation, said by email Sunday the investigation to determine a cause of the fire is ongoing. The person being treated in Oklahoma City is expected to be released in the next day or two, Jarvis said. COOPERSTOWN -- A coalition of scientists and anti-fracking activists Thursday accused the state Department of Environmental Conservation of ignoring input from "independent experts" on shale gas drilling and urged Gov. Andrew Cuomo to extend the moratorium on high-volume hydraulic fracturing. The drilling opponents, in an open letter to Cuomo, stated, "The failure to engage us in substantive discussions contradicts your repeated statement that science, facts and information will form the basis of your decision." They also called for the resignation of Bradley Field, the DEC official who oversees the Division of Mineral Resources, saying he signed a petition "denying the demonstrable harm of climate change." The DEC is completing its final review of hydrofracking regulations, which should be released by the end of the year, a spokeswoman for the agency said. Those signing the letter included, among others: Lou Allstadt of Cooperstown, a retired Mobil Oil Corp. executive who oversaw the company's drilling and pipeline operations in the Western Hemisphere; Cornell University ecology professor Robert Howarth; Cornell University engineering professor Anthony Ingraffea; and Sandra Steingraber, a biologist who has researched environmental links to cancer. Also signing it was Larry Bennett, public relations manager for Brewery Ommegang in Cooperstown. STONY BROOK, N.Y., August 6, 2012 – Stony Brook University scientists have found that the disposal of contaminated wastewater from hydraulic fracturing – commonly known as “fracking” – wells producing natural gas in the Marcellus Shale region poses substantial potential risks of river and other water pollution that suggests additional regulation to reduce the potential of drinking water contamination. Fracking involves pumping fluids underground into shale formations to release pockets of natural gas, which are then pumped to the surface. The Marcellus Shale region covers approximately 124,000 square kilometers from New York to West Virginia and is being intensely developed. The researchers found that disposal of the large amounts of fracking well wastewater presents risks from salts and radioactive materials that are “several orders of magnitude larger” than for other potential water pollution pathways examined in the new study. Other water pollution pathways studied include a tanker truck spilling its contents while transporting fluids used in the drilling process going to or from a well site; a well casing failing and leaking fluids to groundwater; fracturing fluids traveling through underground fractures into drinking water; and drilling site spills at the surface caused by improper handling of fluids or leaks from storage tanks and retention ponds. 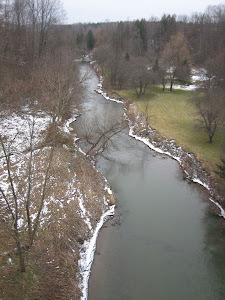 In trying to understand the likelihood and consequences of water contamination in the Marcellus Shale region from fracking operations, Rozell and Reaven use an analytical approach called “probability bounds analysis” that is suitable “when data are sparse and parameters highly uncertain.” The analysis delineates best case/worse case scenarios that risk managers can use “to determine if a desirable or undesirable outcome resulting from a decision is even possible,” and to assess “whether the current state of knowledge is appropriate for making a decision,” according to the authors. 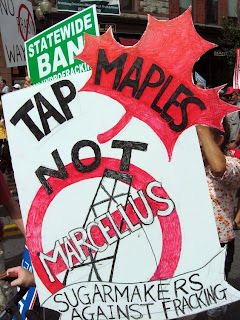 The authors found that “Any drilling or fracturing fluid is suspect for the purposes of this study” because “even a benign hydraulic fracturing fluid is contaminated once it comes into contact with the Marcellus Shale.” They suggest that “regulators should explore the option of mandating alternative fracturing methods to reduce the wastewater usage and contamination from shale gas extraction in the Marcellus Shale.” These would include various alternatives such as nitrogen-based or liquefied petroleum gas fracturing methods that would substantially reduce the amount of wastewater generated.